In 2011, Dave had a vision to challenge the status quo of what a gym experience should entail. That fitness should be about development, not destruction. Inclusive, not divisive. That it should be more progressive than just barbells. 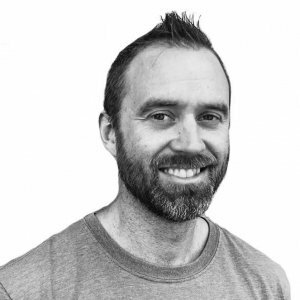 Dave has coached over 4,500 classes, started the BecomeMore Coach Academy and his philosophies on programming, coaching, and culture have laid the foundation for Performance360 to become what is today, and where it’s going tomorrow. I am 36 and from McLean, Virginia. How did the gym come to be? After sitting on the shower floor every morning, pondering what the hell I was doing with my life, I quit my job in 2009 and went back to accelerated trade school to learn as much as I could about strength and conditioning. When I finished, I did personal training at World’s, drove to rich people’s homes for mobile workouts, organized boot camps for my friends, ran local high school offseason programs, whatever and wherever I could get my hands on clients. I also barbacked on the weekends to make ends meet. After building up Performance360 clientele for two years, I reached out to my college teammate, Bryan Pritz, and he didn’t take much convincing. He had just finished his up pro ball career with the Red Sox organization, and looking to start his professional career. We saw eye to eye on the vision for the gym instantly, and well, here we are. How to tailor communication. I would go from high school athlete to professional mom to group boot camp all in a single afternoon. Why did you decide to open the gym? I believed there was a better way to do all aspects of the gym experience than were currently being done. For something so important (fitness), I felt it inexcusable to make it so hard to access. Still do. What do you hope to accomplish with members when they join? Trust that we will always welcome, educate, and safely develop you. Less about what’s on my barbell and more about how does fitness support my daily lifestyle needs. I’m a big believer that there is too much gym time. What’s the biggest piece of advice you can share? You’re ready as you are right now. Four slices at Mr. Moto Pizza and a garlic knot. #PizzaSunday.